AFM members are profiled in Upbeat articles in the International Musician magazine and Members Profiles on the website. The Upbeat musician profiles always include something about the subject’s union membership and the benefits of belonging. The story highlights AFM member’s career accomplishments, special projects (especially current ones), background, future goals, influences, etc. Due to space considerations, each AFM member will only get one published article in the print version of the International Musician. However, the International Musician website allows for updates to musician profiles. Additionally, you may submit a free profile to AFM Entertainment, the Federation’s booking site. If you have a musician you would like to see profiled in the International Musician print edition or website please submit the member’s full name, local number, and contact information to IM@afm.org?. Under no circumstances does the International Musician or American Federation of Musicians pay for unsolicited submissions. Please provide the subject’s contact information (e-mail and telephone number), primary Local membership, and website/social media links, along with the submitted article in case we need to contact him/her. Upbeat profiles are never written in the first person. You may submit an Upbeat about yourself, but it should be written in the second person (as if someone else is writing about you). In that case, there will be no byline. The subject musician or musicians in an article must all be AFM members in good standing, no exceptions. 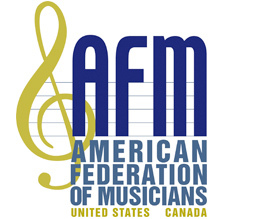 All current working US or Canadian musicians mentioned in the article must also be AFM members in good standing. In most cases, Upbeat articles should not be biographies starting with childhood. Try to find a theme or angle to focus on. Upbeat profiles always include something about the subject’s union membership and the benefits of belonging. The International Musician does not publish articles focused on a particular performance review or albums reviews. If a submitted article does discuss a particular recording the work needs to have been done under an AFM agreement. Always verify all information gathered from sources other than the subject musician. 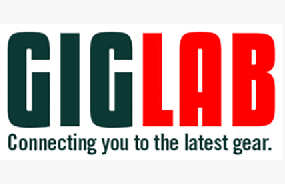 We reserve the right to edit all submissions to meet space and content restrictions. Please follow the International Musician Style Guide as closely as possible. Articles should be submitted in Word/text format with no indentation at the start of paragraphs and no double spaces at the end of sentences. Headlines should include a verb whenever possible and are subject to editing. You are responsible for submitting at least one photo to be published with the story. Provide a caption in sentence format that describes what is happening in the photo or a caption that invites readers to continue reading the story. We prefer a (color) photo of the subject with his/her instrument. For articles to be published in the print version of International Musician, photographs must be high resolution (at least 300 dpi at three inches). Please note: photos grabbed off the Internet are not high resolution enough for print. The writer is responsible for securing permission to use the photograph submitted and for providing any photo credit that needs to be published with the photo. Performance videos posted on YouTube can be linked to online Upbeat profiles.